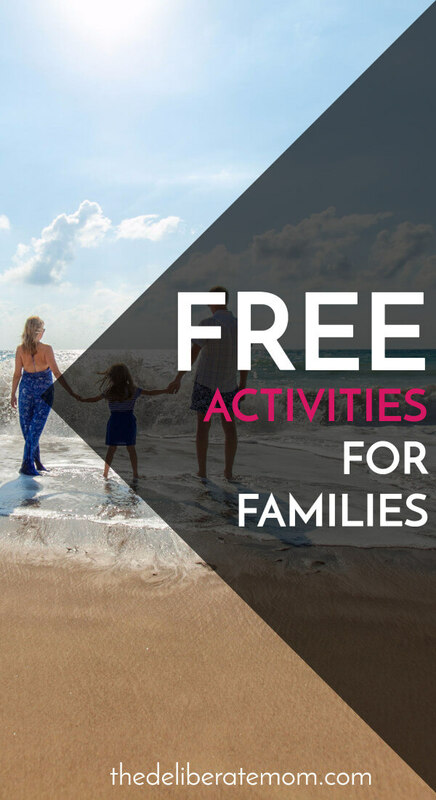 Free Activities That Are Family Friendly! Write letters to extended family (or one another). Blow bubbles. This activity is awesome regardless of the season. Have you ever blown bubbles in the winter? Have a Lego building marathon! Get out that tub of Legos and build! Read a great book together. Take a trip to the playground. Skip rocks on a lake, pond, or river. Go for a walk and pick wildflowers. Do some living room karaoke. Make crowns out of clover. Plant some sunflower seeds in the garden. Bake a batch of cookies or cupcakes together. 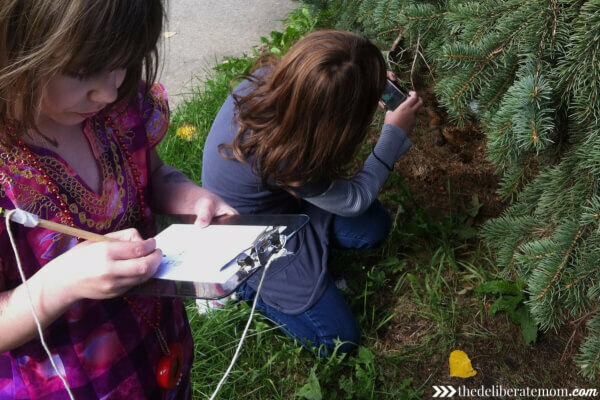 Have a nature scavenger hunt. Tell stories from your childhood. Make playdough (and play with it)! Explore a part of your city that you’ve never been to before. Have a “park crawl” (go to 3 or 4 different parks within 2-3 hours). Go on a volunteer outing together. Have a living room camp out / sleepover. Pitch a tent in the backyard and sleep outside! Have an in-home “spa”. Paint each other’s nails, do facials, and don’t forget cucumbers for the eyes! Create a mini-Olympics (long jump, javelin (with a pool noodle), discus (Frisbee). Play Bocce Ball at a nearby park. Go for a photo walk. Take pictures of sights along the way. Do a neighbourhood litter clean-up. Take turns telling jokes from a joke book. Work on a crossword puzzle together. Work on a large jigsaw puzzle. Make a cake and have an “Unbirthday” Party. Visit a free community spray park. Plant a fairy / play garden. Work together on assembling a memory book of pictures. Deepening our connections with our children doesn’t need to be overwhelming or expensive. It simply needs a bit of time and planning. Try it out! You might be surprised by how much fun you have! Did you like this post? I invite you to pin it! Yay! So glad you enjoyed this list! This is a great list and a few of them are actually things that we do, but will be adding a few more to the list now. Thank you. You’re so very welcome! Enjoy! Clover crowns are pretty sweet! Next year, both kids will be in full-time school. Although we have days like that this year, I love to go on quirky adventures with them. We live on 4 acres of woods! So of course, rock skipping and gardening are high on our list. I also like to take them hiking and to go on search of fun things. Scavenger hunts! 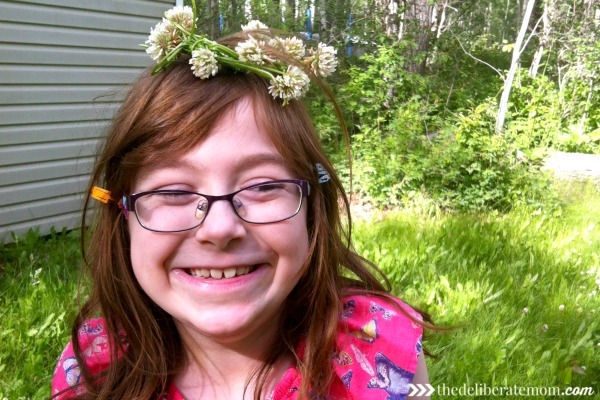 We make clover crowns every year at the lake… such fun! Rock skipping is the best! I enjoy the quirky adventures too – I’m really looking forward to this summer. 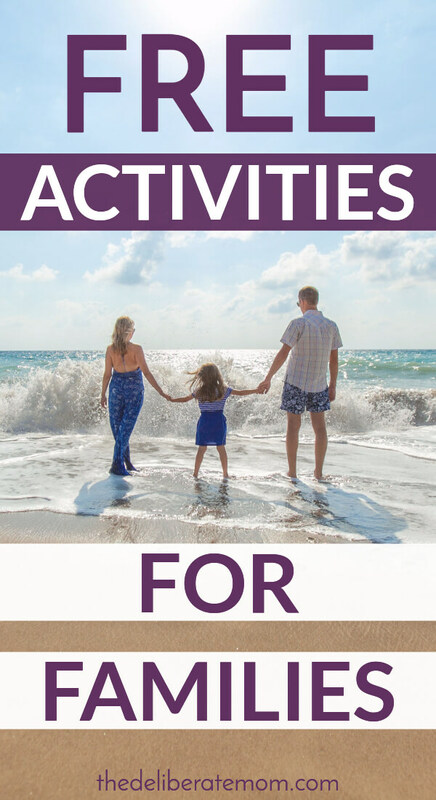 Thanks so much for this long list of family friendly activities. I stumbled upon this at the appropriate time. I’m delighted that this article was timely for you Jasmine! I can’t wait to hear which of these activities you decide to try.